You can take the Lasermax LMS-1161 Laser Sight on your next hunting trip. It offers a visibility range 1000 meters to increase your shooting accuracy. allowing you to shoot with better accuracy. 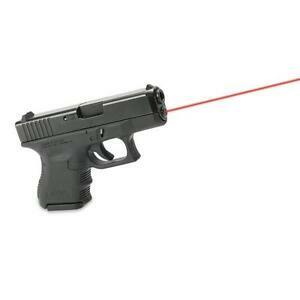 Made of aircraft grade aluminum, this laser sight is very light. The user can install it easily without involving any gunsmithing. 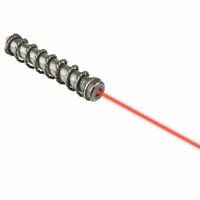 Made with genuine wolf springs, this laser scope is very accurate. This is a must have if you wear bifocals like me. It will make you a better shot. Also since it is an internal fit, you can use any holster that is made for your gun. This is my 3rd or 4th Lasermax I have bought. All of my Glocks have had one. They are super easy to install, no need for a gunsmith. If you can strip your gun for cleaning, you can install it yourself. Disappointing item and not worth the money. Slide lock fell out after first shot! (Yes - It was fitted as instructed) Tried contacting Lasermax and no reply. Flashing red dot is extremely annoying and makes it harder to focus on target. And battery only lasted one session. Definitely not worth the money and I regret buying it. The laser appears to work fine, though I haven't had time to take it to the range yet.. I understand that green lasers are better during daylight, but they were out of my budget. Indoors, the red works fine. Outdoors during daylight, not so much. I wanted an internal laser to remain discrete and this one is simple to turn on or off. Didn't get to use it on the range yet. So I don't know how well it is sighted in. It mounted on the gun easily. Had to make a slight adjustment on my Blackhawk holster because the switch for the laser sticks out a little more than the factory slide lock on my Glock 27 Gen 4. Switch caught on the holster. A little filling on the holster where it caught took care of it. Really great for concealed carry weapon. Aids in quick target acquisition. Does not change configuration of weapon so standard holsters fit. Always accurate. Can't get knocked off sight in. Very quick to install with no gunsmith experience needed.